"My wife and I booked the Moulin Rouge tickets ahead, which was highly recommended. We had no trouble entering the Club and were immediately seated at a table with a great view of the stage. The show was excellent. The service of drinks was excellent. We had a wonderful time, and at the end of the show, had no trouble finding a taxi to take us back to our hotel. A wonderful experience we would highly recommend to others." 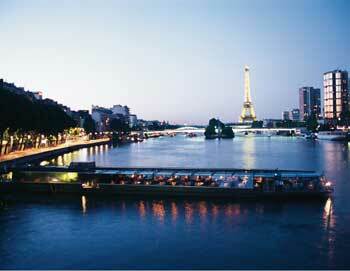 In the heart of Paris you will find Bal du Moulin Rouge and Lido de Paris, the two world-famous cabarets! Enjoy their shows “Féerie" and "Bonheur" with or without a delicious dinner. Enjoy a night to remember in Paris! Experience the legendary Crazy Horse in Paris! The shows, featuring the acclaimed Crazy Horse dancers, are always fresh and inspired and very sensual. Book your tickets online! See one of the most famous cabarets in the world - Lido de Paris on the Champs-Elysées. Enjoy the international French style cabaret and burlesque that has captivated audiences from all over the world, and combine the show with a delicious dinner or champagne. Tickets sell out quickly - book yours today! Try one of our most popular tours in Paris. Enjoy a delicious meal on the first floor of the Eiffel Tower, relax on a scenic cruise on the Seine, and sip champagne while seeing a show at the Moulin Rouge! Book your tickets today - a perfect night awaits! Want to make your stay in Paris even more magical? Try a cruise on the Seine followed by a spectacular show at the Moulin Rouge incl. ½ bottle of champagne. Make sure you get tickets, book tickets in advance!